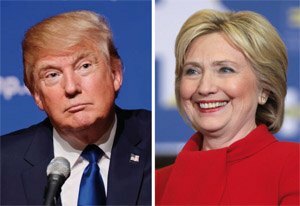 Two leading anti-piracy groups have penned an open letter and Change.org petition calling on Clinton and Trump to adopt a tough approach to copyright law. Copyright Alliance and CreativeFuture, which count dozens of major studios and record labels among their members, say that protecting content is vital, no matter which party is in power. As the presidential election moves towards the home straight, millions of individuals and businesses in the United States are considering how the outcome might affect them. Unsurprisingly, powerful groups in the entertainment industry are also weighing the implications and with billions at stake, who could blame them. Of course, just like the rest of the population, neither Hollywood nor the major recording labels have a crystal ball, so in recent months their public lobbying efforts have been mindful of the possibility that either Clinton or Trump could get into power. This week that trend continued, with the publication of a new open letter and the launch of a petition by two influential anti-piracy groups, the Copyright Alliance and CreativeFuture. The Copyright Alliance is a true powerhouse which counts the MPAA, RIAA, Viacom, Oracle, Getty Images and many other corporations among its members. CreativeFuture is a huge coalition of some 450 companies in the film, television, music, and book publishing sectors. In their letter addressed to “2016 Political Candidates”, the groups describe themselves as members of the creative community, who despite political differences are united in their goal of reducing piracy. “While our political views are diverse, as creators, there are core principles on which we can all agree. And we appreciate the opportunity to share our views with our country’s current and future leaders,” the groups write. What immediately becomes apparent in the letter are the glowing references to the Internet. With lessons learned from the SOPA debacle which was perceived by many as an attack on the world’s most important network, Copyright Alliance and CreativeFuture begin by cheerfully praising its positives. “We embrace the internet as a powerful democratizing force for our world and for creative industries. We recognize its ability to inspire positive change and improve lives,” they write. While one might have strongly expected a ‘but’ at this juncture, the groups are careful not to set up a clash of ideals. It’s not difficult to see that their aim is to quietly assure that the successful protection of copyrighted content does not have to come at the expense of the Internet. “We embrace a strong copyright system that rewards creativity and promotes a healthy creative economy. The incredible cultural and economic value that the internet delivers to billions of users is based in very large part on the efforts of creative content makers whose livelihoods depend on being compensated for their efforts,” they add. And if anyone missed the hints that Copyright Alliance and CreativeFuture are supporters of both creative content and the interests of the Internet, the groups quickly take the opportunity to underline that again. However, one gets the impression that their definition of online freedom might not be the same as that championed by Internet activists. “Our current and future leaders recognize that a safe and secure internet benefits us all. And all parties recognize the importance of strong copyright protections in their technology policy platforms because protecting copyright and internet freedom are both critically important and complementary — they are not mutually exclusive,” they write. These groups are not mentioned by name but the likes of EFF and Fight for the Future have been spoken of in similar terms and have appeared in negative articles published by the Copyright Alliance earlier this year. And of course, even if not mentioned by name, no appeal would be complete without a subtle reference to Google and/or YouTube. Trump and Clinton are left to fill in the gaps and asked to do the right thing. “Internet platforms are making massive profits from creative contributions to the internet’s growth. It is not too much to ask that content creators should be able to share in the value they provide,” the groups write. With the election likely to go to the wire, Copyright Alliance and CreativeFuture are keen to ensure that anti-piracy measures are seen as a universal concern, no matter where people reside on the political spectrum. “There is no ‘left’ or ‘right’ when it comes to respecting copyright. The creative community stands united in support of a copyright system that will continue to make the United States the global leader in the creative arts and the global paradigm for free expression,” they note. In support of their open letter, Copyright Alliance and CreativeFuture have also launched a Change.org petition in an attempt to get 5,000 signatures (see update below) supporting their cause. “Whether you are a Democrat or Republican, liberal or conservative or libertarian, strong and effective copyright is not a partisan issue but rather one that benefits our entire country. We ask that you stand with us by adding your name to this letter – to show political candidates that we stand united, we stand creative,” they conclude. Update: CreativeFuture CEO Ruth Vitale informs TF that the initial target of 5,000 signatures was just a benchmark implemented by Change.org. “Our actual goal is much, much higher, and we will reach it,” she says. At the time of this update the petition now has 7,100 signatures.